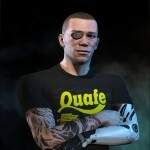 We are the hosts of Cap Stable, an Eve Online podcast. There are a few of us (Lanctharus, Hoots, Kuda, Turbo, Bhock, and Stu) and occasionally we invite guests to chat with us. We talk about all things Eve. 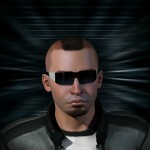 StupidGenius Stu” Charante – Stealth bomber extraordinaire, former Ratter of Delve, and member of AIEU. Currently I’m attempting to create a space empire out of my shipping services. Started playing EVE in Early May 2012 shortly after the Inferno expansion launched. 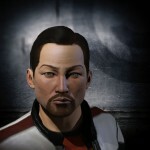 My main motivator for checking out EVE was reading reports of the BURN JITA event in early May 2012. Lanctharus Onzo – Intrepid pilot and destroyer of all that is sacred. 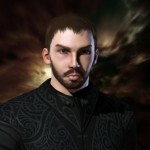 In real life Lanc is one of several Councilors of the AIE Gaming Community. He is responsible for overseeing the various games and activities the AIEGC is involved in, primary World of Warcraft where he is the guild master and head of one of the largest functional guilds in Warcraft. He started playing EVE about June of 2012. He is very bad at EVE but he has come to terms with that. Drewson “Hoots” Houten – Hoots lives in the middle of Wisconsin, where snow has not yet killed him. 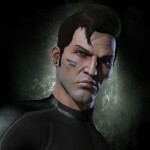 Prior to starting EVE in 2012, he grew up on PC and tabletop games. Outside of gaming, Hoots likes the Green Bay Packers, history, well-written literature, listening to podcasts, and doing harmlessly evil things to good people. Kuda Timberline – Miner, Industrialist, & Carebear. I spend most of my time in my cozy little corp working my fingers to the bone so that those bitter vets have lots of ships to blow up. 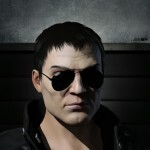 I started playing EVE in 2009 and have played off and on ever since. I recently started playing EVE “full time” after leaving the raiding scene in WoW. I live in Colorado and enjoy the great outdoors and video games. Bhock “The French Connection” – Accountant, trader, industrialist and spreadsheet masta. Started MMOs in 1999 with AC, and EvE on and off since beta, dying in everything I can fly. Played many other MMOs during all those years (DAoC, CoH, WoW, SB, Rift…), I have an opinion about everything (and I’m right !). Favorite quote is “When there’s no more problem, only solutions remain”.